World Snooker’s Challenge Tour will feature ten events during the 2019/20 season, with a new ‘play-off’ system to determine which two players are promoted to the professional circuit. The Challenge Tour ran for the first time in 2018/19 as a secondary circuit below the World Snooker Tour. There were ten events, with six in the UK and others in Latvia, Germany, Belgium and Hungary. Brandon Sargeant and David Grace earned the two tour cards. Next season’s Challenge Tour will include six events in the UK and four in Europe. Snooker clubs and federations will be given the chance to bid to host events. Clubs do not need to use Star tables but those in the UK must be affiliated to the WPBSA’s 147 Club scheme. The prize money for each event will be £10,000. 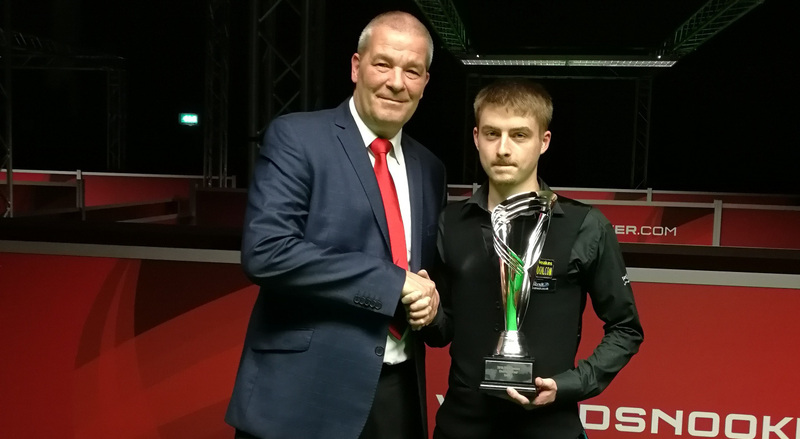 • The top 56 players from the 2019 Q School ranking list. All 56 will be directly entered into the last 64. • Eight Wildcards, to be selected with the intention to promote the development of grassroots talent. • An unlimited number of further entrants will compete in pre-qualifying stages, playing down to the available places in the last 64. At the end of the ten events, 16 players will go into a final play-off tournament. These will be the winners of the ten events, plus a minimum of six players from the Challenge Tour rankings. The two players winning the semi-finals of the play-off tournament will be awarded two-year cards to the World Snooker Tour, for the 2020-21 and 2021-22 seasons. Further details including the dates and locations of the events will be confirmed when available.